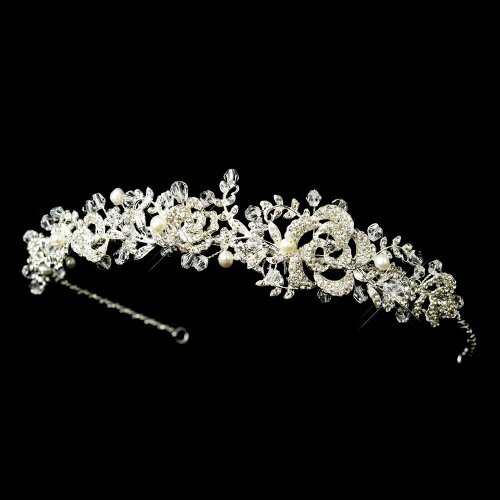 This headband is encrusted with a beautiful combination of fresh water pearls and dazzling rhinestones along an intricate swirling pattern. 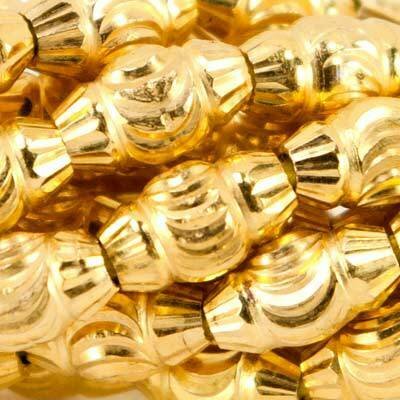 The detailing on this headband measures approximately 9 inches long, and approximately 3/4 inch wide. 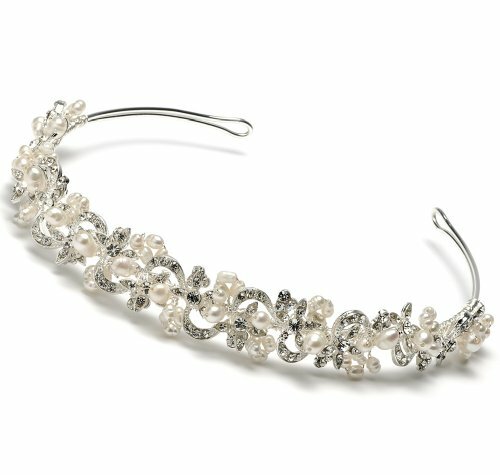 Pins loops are at each end of the wedding headband for added comfort and security. 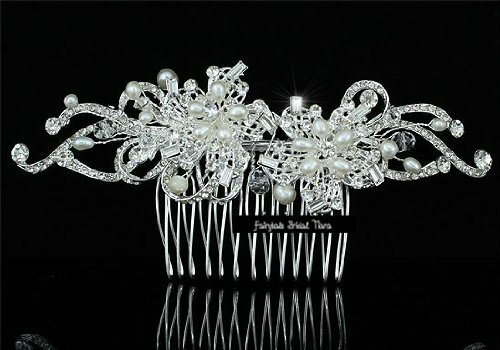 Beautiful vintage inspired bridal hair comb in a floral design with a swirl details. 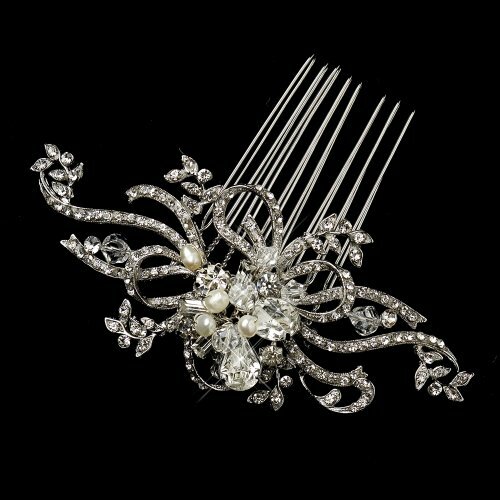 This bridal comb features freshwater pearls, rhinestones, and Swarovski crystals with silver plated rhinestones swirl details. 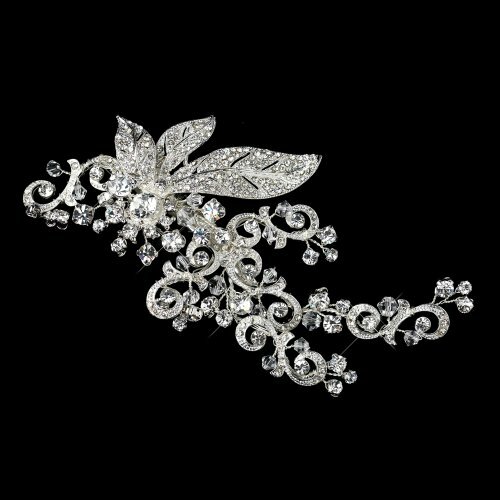 A classic vintage accessory hairpiece with an elegant touch. Size: 4.75" X 2". 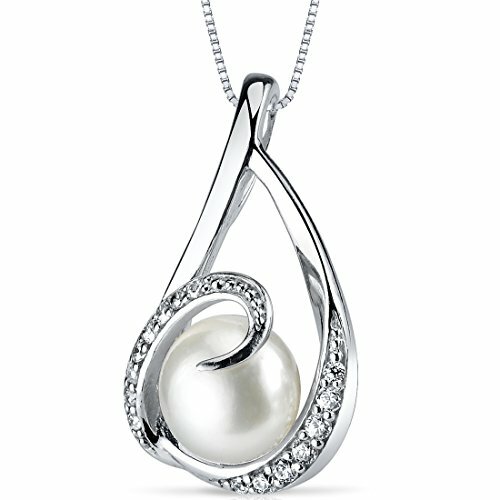 Channel classic elegance with this cultured pearl and diamond ring. 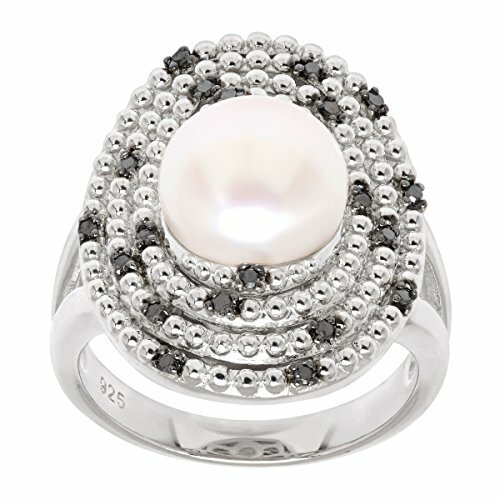 A 10 mm freshwater button cultured pearl sits in the center of four oval-shaped beaded sterling silver rings, specked with round-cut black diamonds totaling 1/8 ct. Ring face measures 11/16 by 15/16 inches.